Brighton City Council gave initial approval for a subcommittee dedicated to making Brighton a more bicycle-friendly city at its June 4 meeting. 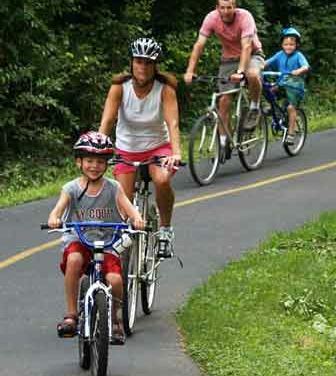 Council unanimously approved the first reading of an ordinance that will allow the parks and recreation advisory board to add a Bike Brighton Subcommittee. Parks and Recreation Director Gary Wardle said staff and six community volunteers have been working over the last year to develop a bike-friendly community and apply for the designation through the League of American Bicyclists. Wardle said the subcommittee would report to the board. Mayor Pro-Tem Wayne Scott said it’s a very important piece for the residents – one the city is going to have to take seriously.Mayor Pro Tem Wayne Scott said it’s going to take a lot of work and a long time to make the city a bicycle friendly community.